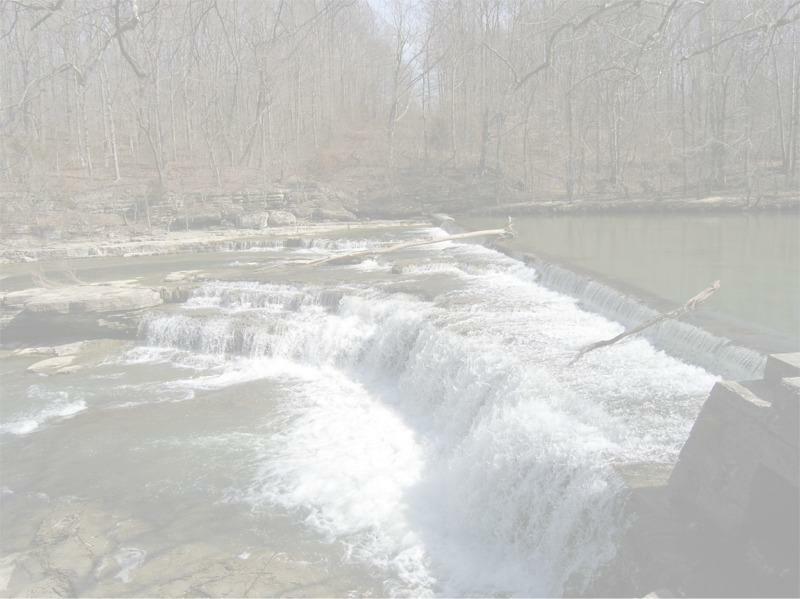 Cataract Falls, where two sets of falls on Mill Creek create a cascade that drops 86 feet, is the largest waterfall in Indiana. The upper falls has a sheer plunge of 20 feet; the lower falls - about a half a mile downstream - has a fall of some 18 feet. There was a primitive bridge across Mill Creek between the upper and lower falls that washed out in the flood of 1875. A 140 ft. Smith Type 3 covered bridge was built at the upper falls in 1876 and was open to traffic until 1988. The Indiana Department of Natural Resources restored the Cataract Bridge in 1995.